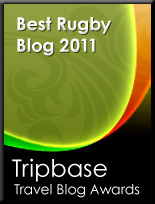 TOTAL FLANKER...a rugby blog: A song for England? It is reported this week that the UK national anthem, God Save The Queen, might not be sung at Twickenham in the future after MPs gave initial support to the idea of England adopting its own official national anthem. Chesterfield MP Toby Perkins' English National Anthem Bill was adopted by the House of Commons this week and will be debated again at a second reading on 4th March. If passed the Secretary of State for Culture, Media and Sport would be required to hold a nationwide consultation on the matter. Whilst I am no particular fan of the dirge-like God Save The Queen and would welcome a more uplifting and relevant anthem, perhaps what we should be asking here is whether there might be more pressing matters with which Parliament should be occupying its time? You're right, they should be busy with other stuff, but if we do go down this route, I vote for either the James Bond theme music or the Land of Hope and Glory section of Elgar's Pomp & Circumstance. From 4:35 to the end - https://www.youtube.com/watch?v=moL4MkJ-aLk. That would put the willies up the opposition more than any tribal dancing.